The central government under the leadership of PM Modi has announced that it was necessary to bring about development in the lives of agricultural workers. As India depends on the agricultural produce to feed millions of people, it is mandatory that proper schemes are designed for development of farmers as well as agriculture sector. The present state government desires to encourage farmers. For that it has announced the launch of two new projects for farmers. The names of these projects are Mukhya Mantri Abhinav Krishi Yantrapati Samman and Mukhya Mantri Krishi Udyog Yojana. Website The details will be uploaded on state government’s websites as soon as possible. Agricultural and farmer development – These projects have been designed and developed by Odisha state government for the betterment and development of bot agriculture as well as agricultural labors in the state. 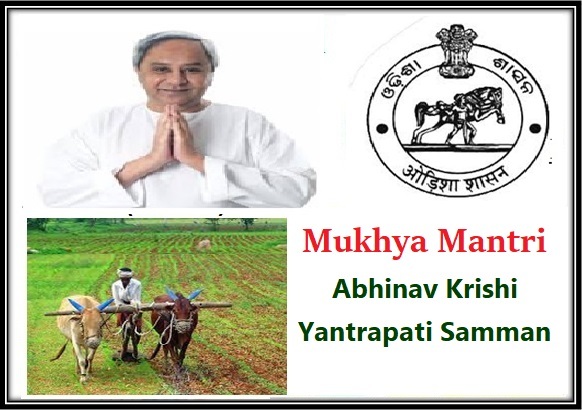 Financial reward – Under Mukhya Mantri Abhinav Krishi Yantrapati Samman program, the authority will select several farmers, at state level as well as district levels, and offer them financial rewards. It will be given for implementation of innovations in farming process. Total number of beneficiaries – The cash prize will be offered to 101 agricultural workers. The state will pick 90 farmers from all the districts, and 11 top farmers will be selected, for their contributions and innovations. Cash prize – The three agricultural farmers who occupy the top three ranks will be offered cash prize of 2 lakhs, 1.5 lakhs and 1 lakh respectively. All farmers, selected for their good work in districts will receive Rs. 15,000 each. B If farmers want to implement their tool further in a proper way, then they will get 15 lakh cash support. Projects like these enable the state to help farmers in taking a step towards betterment. If they do not get encouragement, then they will not proceed to experiment with their farming techniques.